6 Hour Kirtan - 2 Day Special! ~ The Toronto Hare Krishna Temple! 6 Hour Kirtan - 2 Day Special! We warmly invite everyone for a 2 days of non-stop 6 hour kirtan! This year we will celebrate Janmastami by chanting the Holy Name for 2 days, Sunday, September 2nd and Monday September 3rd! Both days will begin at 12:30pm - 6:30pm. 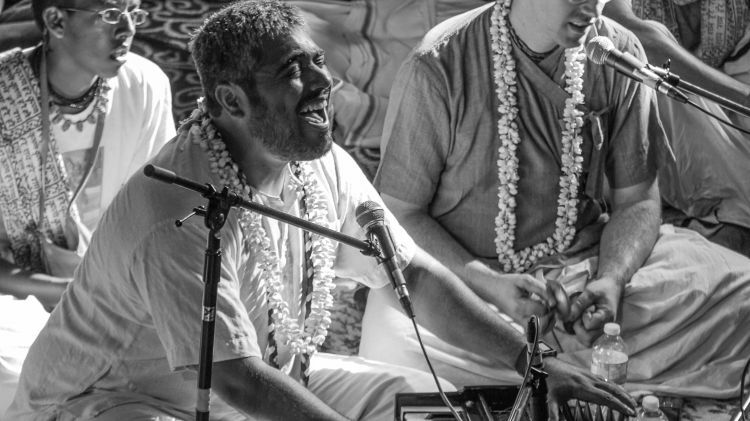 We have invited a special guest - Amala kirtan prabhu from Brazil! We will be chanting the Hare Krishna maha mantra for 6 hours in variety of melodies. It will be a wonderful opportunity for both music lovers and aspiring yogis to keep their senses engaged in the Holy Name of the Lord!